With Samsung set to unveil the Galaxy S9 tomorrow, I thought it would be fun to speculate on the possible performance improvement of the new chipset. As usual, it will come in two flavors. One with the SD 845 and the other with Samsung's own Exynos 9810. One big surprise this year is Samsung's chip could be much faster than Qualcomm's. In fact, if leaked geekbench scores are accurate(look at that single core score! ), it's performance could be close to that of Apple's A11. Now, I realize ARM's gpu drivers have been pretty poor lately but, it's exciting to think about how the chipset could potentially play a decent number of games at full speed. I'm crossing my fingers and toes hoping that ARM has fixed at least some of the driver bugs. Mali is still slow. Don't get your hopes up. We also don't know about thermals but Samsung is typically better about that than most Snapdragon SoCs in the same class. (02-25-2018, 11:46 AM)Helios Wrote: Mali is still slow. Don't get your hopes up. We also don't know about thermals but Samsung is typically better about that than most Snapdragon SoCs in the same class. But to the end user there's probably not much of a difference - unless this happens to release with much revised drivers, "big" driver updates rarely get pushed to devices post-release. Even if they do end up fixing the issues. Their CPU seems to be very powerful, and based on the design presentations of the M3 CPU, they are quite a lot faster than the snapdragon based one. But at a higher power usage. I plan to upgrade this year but I'm thinking as long as Mali GPUs are bad I'm better off looking for a SD845 device even if exynos has a *much* better CPU. I mean there's always a chance ARM GPUs would be better, but that's not the sort of thing I'll hold my breath on. (02-26-2018, 01:20 AM)degasus Wrote: Their CPU seems to be very powerful, and based on the design presentations of the M3 CPU, they are quite a lot faster than the snapdragon based one. But at a higher power usage. Hmm, then I'll be looking forward to dolphin impressions with the SD845 version. (02-26-2018, 12:13 PM)LG Fanatic Wrote: Hmm, then I'll be looking forward to dolphin impressions with the SD845 version. But samsung releases their new phones with Vulkan working on Mali. And Dolphin has working vulkan backend, no? (02-27-2018, 04:30 PM)sirdaniel Wrote: But samsung releases their new phones with Vulkan working on Mali. And Dolphin has working vulkan backend, no? 60% of 3600 is arround 2000, even with throttling it will be as fast as peak performance of Exynos 8890 and Snapdragon 835. This CPU with decent GPU would be the emulator king. 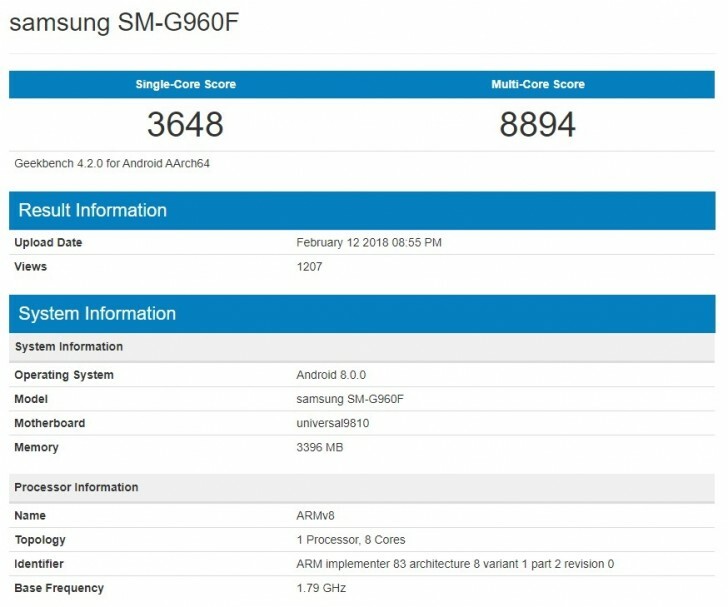 (02-28-2018, 12:35 AM)Guilherme Wrote: 60% of 3600 is arround 2000, even with throttling it will be as fast as peak performance of Exynos 8890 and Snapdragon 835. This CPU with decent GPU would be the emulator king.